The Indigenous People of Biafra (IPOB) Igweocha Obi-Akpor Area one Umuokwururis pipeline zone two under the leadership of Prophet Mazi Nnamdi Kanu the Director of the most Ogbunigwe Radio Biafra/ Biafra Television (BT) protest on this day 1st January 2017. 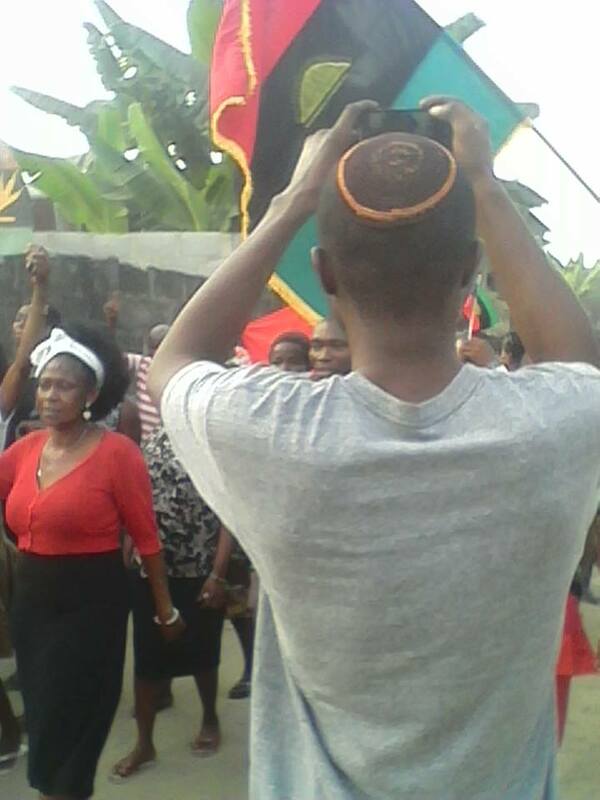 It was a obsession of pleasure to see women, men, youths, and children who came out in mass in the street of Igweocha umuokwururis pipeline under Obi-Akpor area one in solidarity with the leader of IPOB Citizen Nnamdi kanu (POC) saying no to the injustice going on in the cattle republic (Nigeria). The quiver youths are fed up with the contraption called Nigeria, the cattle republic has expired and should be dismembered because the more the contraption exist the more the blood suckers of the Nigerian military takes more innocent blood of the indigenous people. What's going on today been the 1st January 2017? Anonymous: The Indigenous People of Biafra (IPOB) under the leadership of citizen Nnamdi kanu the Director of Radio Biafra / Biafra TV umuokwururis pipeline under Obi-Akpor Area one are on a peaceful protest to Say #No To Secret Trial and the unconditional release of their leader and the freedom of the blessed nation of Biafra. Speaking further, the contraption called Nigeria has expired since 31st December 2014 and should be dismembered. P.R.O of Obi-Akpor area one: Biafra is a spirit, which is ordained by CHIUKWU OKIKE ABIAMA (the supreme creator of the universe). 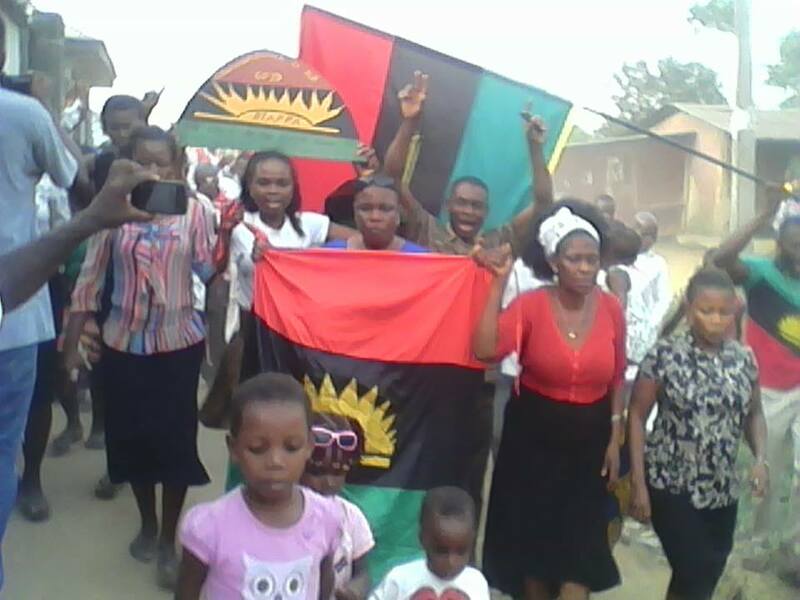 Many saboteurs using this very day January 1, 2017 to go to idol houses to make sure the Nation of Biafra do not stand but they are arrogant of the truth that Biafra is the light of the world. Biafra is a heavenly project that must stand. The contraption, called Nigeria has no future for the youths and the children unborn because the entity was created for the benefit of the western world. The cattle republic (Nigeria) has no good road, electricity, Pipe Borne Water, hospital infrastructures but the government of Nigeria is draining the oil and mineral resources coming from Biafra land but kept the environment undeveloped. The elders, both men and women, Youths and children who went on the streets protesting are not happy that their leader is justly detained for guilty of no crime. It is sadden to hear the current judge saying the leader of IPOB Citizen Nnamdi Kanu (POC) must be tried in secret after the first citizen of Nigeria tyrant Buhari accused him in open and wants to tire him in secret. That is absolute injustice and should not be encourage by lovers of freedom and people of goodwill all over the world. 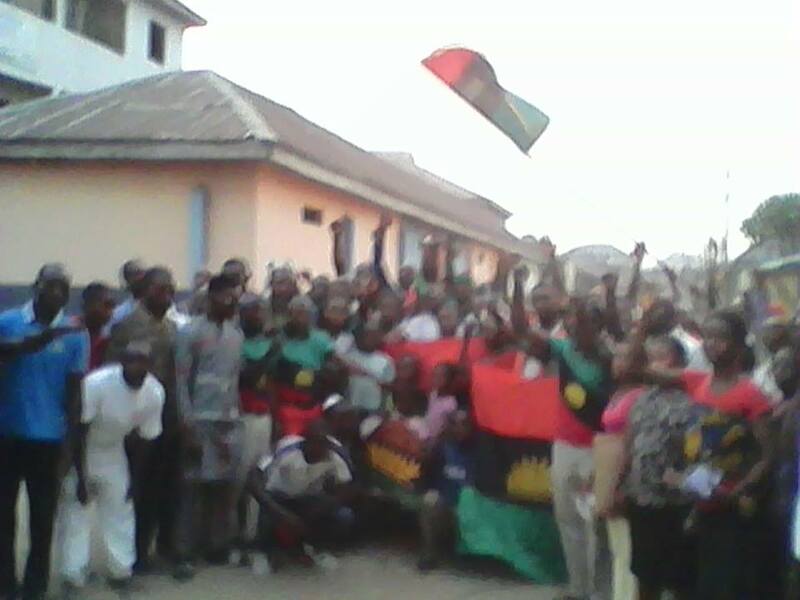 The Indigenous People of Biafra (IPOB) Obi-Akpor Area One has proven how ready they are, formidable, resolute, relentless, fearless before his enemies and ready to die for what they believe in. 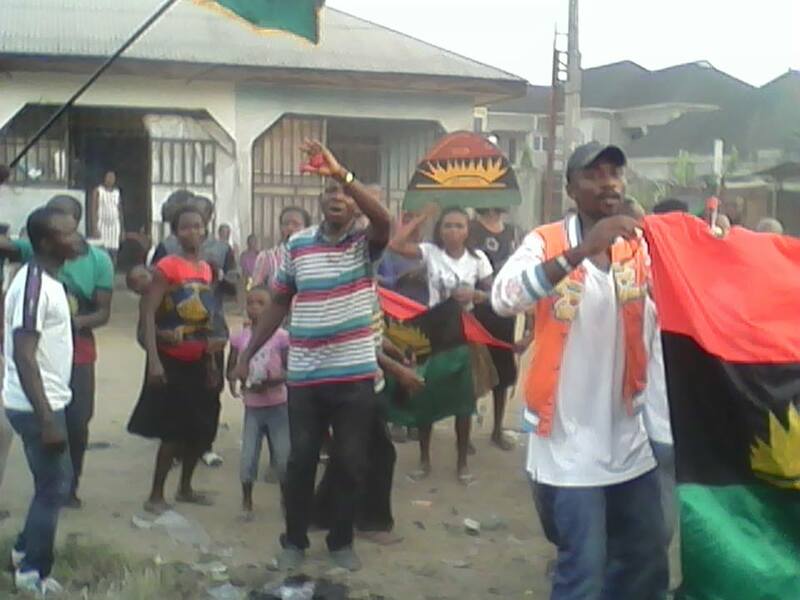 Biafra is an ideology that no man can kill. The flag of Biafra was waving on the air very high on this day been the 1st January 2017. Both elders, fathers, mothers, youths, and children were in their mass protesting heavily on the streets singing Biafra Songs, telling people around both the Nigerians and the Biafrans that the contraption called has expired and must be dismembered now. We Say No to one Nigeria 2017, we are not Nigerians. We are Biafrans. This fantastical and die hard Biafrans see no reason to celebrate the New Year because no joy staying in an expired and crime against humanity called Nigeria. Release the leader of IPOB unconditional and the freedom of the blessed nation Biafra. We are calling on Biafrans far and near to come out in mass in solidarity with the IPOB leader Citizen Nnamdi Kanu come 10th January 2017 for the court case. The Nigeria government must obey court order and release their leader or the contraption sinks. No, retreat no surrender. Biafra or everything living in the cattle republic (Nigeria) dies goes to ashes. We remain formidable, relentless, resolute and fearless before our enemies. Our enemies are on the run because the land of the rising sun is fast approaching and they can do nothing about it. 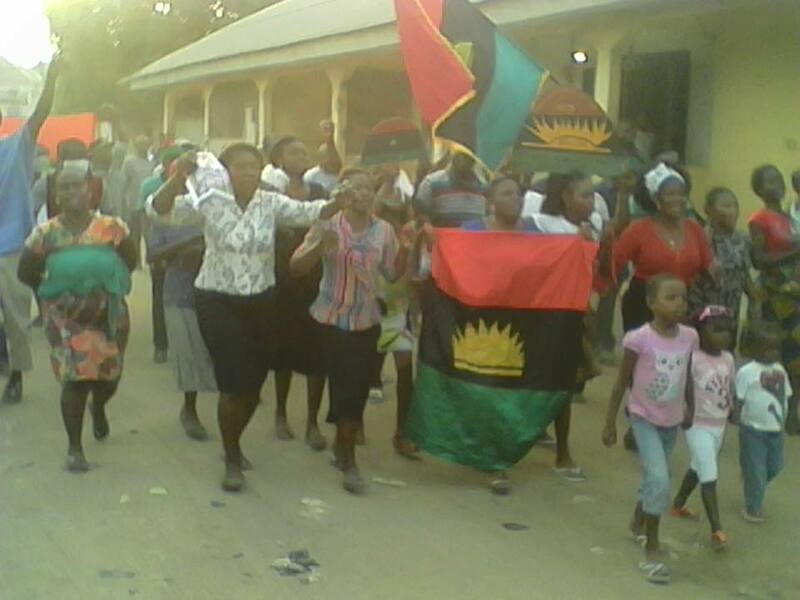 The freedom of the blessed Nation of Biafra is sacrosanct and inevitable. No force can stand his vibration and waves. At the mention of the blessed Nation of Biafra the evil men and women bow and tongues confess of a true Biafra is a spirit.